Needless to say, I no longer work for the company and will never shop there again." -We sign a paper at the beginning of employment basically saying we won't talk about the store policies outside of the store. It's just a paper, not a legal document, but they hire young kids so no one ever thinks to ask about it. -Think only puppies and kittens come from mills? Think again. All of the small animals and reptiles come from huge warehouses and mass breeding facilities. -Veterinary care is only given to dogs and cats and the occasional rabbit and guinea pig. If a hamster or any reptile needs to see the vet, then too bad. The owners of this particular store did not want to pay for the veterinary care in any sense. We're told to tell customers that all of our animals receive vet care from an in-store vet. -Under no circumstances are we allowed to talk about the 'breeders' these dogs come from, apart from saying that they all come from 'loving, responsible breeders that have been personally checked out by Petland managers.' For the store I worked at, in particular, many of these 'breeders' never had a Petland representative step foot in their house. -For the store I worked at, some of the puppies were purchased from the classifieds simply because they were cheap. -A snake and a dog (separate occasions) were recently stolen, but the owner did not want to report it to any authority because s/he did not want any bad publicity. The dog could have been used for any number of horrible things (i.e. bait for fighting dogs) and the owner was much more concerned about bad publicity. I'm sure that's not surprising. Under no circumstances should anyone shop there (for live animals or products). This place is a hole. I can't explain why I stayed there for more than five minutes as an employee, but I'll do everything I can now to expose this horrible place." "I've worked at a few major Canadian 'alternative financial' businesses. One has a major parent company in the US with the same policies. So what I'm about to say applies to Money Mart, Cash Money, Speedy Cash, and Rapid Cash. And those are some pretty major companies, so I feel confident that this is industry-wide. There is no authorization system. Absolutely none. We talk it up like we have to put all this information on the computer and send it all off to head office for an approval, but there is no such system. Every decision is made by a living breathing employee right there in the store you're in. We talk about this system to protect ourselves, to keep the crazies away--those guys who will be ticked that we declined their check and wait outside to ambush us when our shift is over (which, by the way, all kinds of other security procedures in place for that, so don't go to crazy town). Handing me a check that looks like it was written in the same pen as your signature on the back? 'My system is just asking me to verify this, I'll be right back.' No, it isn't. I think you're trying to hand me a stolen check. Handing me a low-sequence check (e.g. check number 0003) from a numbered company? My first thought is it's a fake business, unreliable, unestablished. I'm probably not going to cash it. 'Oh, I'm really really sorry, but my authorization system is down right now. Can you come back tomorrow?' So I can run a search to see when the company was registered, who it's registered to, and so forth. Do you want 70% of your net pay on your very first payday loan? 'Hm, I mean, I'll try, but my system only usually approves 30-40% on a first loan...Let me try...Hmm. Yeah, says I can only give you $200. I might be able to get you a little more if you have any references verifiable in the phone book, do you know anyone with a landline?' Note: Money Mart is unique in that the system ACTUALLY caps you at a max of 20-30% on the first loan, but the rep at the window can still offer below that if they don't trust you. Sending $2,000 to Nigeria with some generic test question about what their favorite color is? 'Sorry, my Western Union system is down.' Lady, that thing never goes down. You're just too stupid to realize it doesn't make sense for a nice 2-bedroom apartment in downtown CityVille to be $300 a month with a huge deposit and a landlord in a foreign country who will call his buddy to let you look around just as soon as he gets your security deposit. We blame the system because it protects us, because it keeps us safe, because it's hard for you to argue or bicker with us when you don't believe we have any say in it. But we do. The only time the person you're dealing with face-to-face isn't the sole person making the decision is if they're a newer employee and they haven't been deemed able to be trusted with the amount of money you're dealing with." "I've actually wanted to get this out there cause it has really bothered me and its been a few years. I worked at Dollar Tree. The store had a charity drive for toys during Christmas. We would ask people at the end of their checkout if they wanted to donate a toy for active Military family's kids. The incentive for the cashier was to sell the most and you would win like $100 or something; I got second place so I don't remember. Anyway, we sold what had to be thousands (so we thought). It was easy since what's one extra dollar right? Well, whenever the customers bought a toy, it went into a big bin at the front. However, after every day, this bin was unloaded and was recycled to be sold yet again, over and over. I guess they figured that we sold so many, that every local kid would buried in toys but I will never forget it. It makes me sad and reluctant to donate unless I know it'll actually go somewhere. This wasn't the only thing that was sketchy, either." 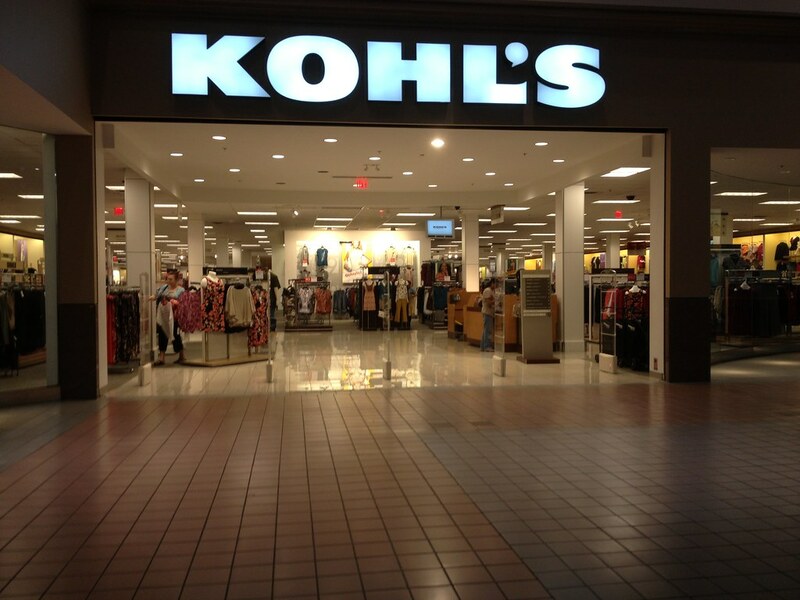 "I was at Kohl's for five years, supervisor for three. Not sure if these are all true of all Kohls, but definitely were at mine. We were encouraged to sign everyone up for a credit card, despite age, language barriers, etc. I absolutely hated signing people up for those cards, especially only because they wanted to see if they could get a discount. I would give them the discount regardless if they were approved or not, but if I didn't sign enough people up, I would get warnings. The APR on them was 27%! The jewelry cases were all opened with one key and were pretty flimsy even then. With a hard jerk, you could easily open them. Also, a lot of the diamonds that were under 1/4 carat were fake.